sxsxsx today released a new video showing the progress he made with the PES 2014 stadum importer tool he is working on. 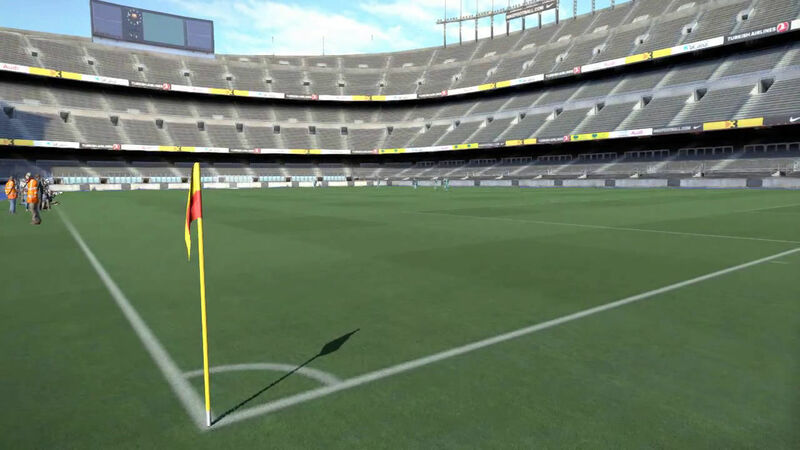 The new video mainly shows improvements made to the shadows of dynamic objects on the field of the imported Camp Nou stadium. sxsxsx, creator of PES 2014 faces importer tool as well of PES 2013 stadium importer tool, on November 11 released a video on the progress he made about importing PES 2014 stadiums. The video shows an almost completely imported Camp Nou from PES 2013 in PES 2014, lacking only the crowds. Hopefully this means we can expect a first version of the PES 2014 stadium importer tool soon, as well as many new stadiums for PES 2014.